Do you like bacon? Of course you do. Sorry. I guess that was a dumb question. The real question is, can you get down with the sweet and salty bacon trend? If you spend any time in Brooklyn, or probably any other urban area, I’m sure you’ve come across at least one (if not many) of these sugary bacon treats. Candied bacon, bacon cupcakes, bacon brownies, chocolate covered bacon, bacon lollipops, even bacon infused cocktails! If you can dream it up, it’s probably out there somewhere. Up until recently, I’ve managed to resist the urge to jump on the bacon bandwagon. 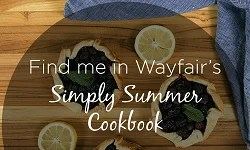 That all changed though last week, when I stumbled upon a group of food bloggers who share a fondness for an intense love of mine. 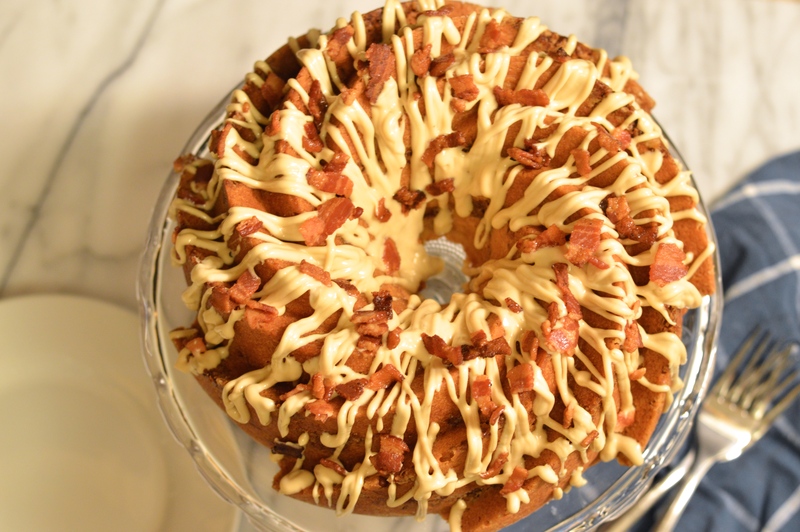 No, not bacon… Bundt Cakes! It’s no secret that I’m obsessed. 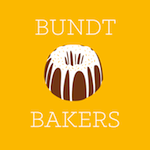 This bundt loving bunch call themselves, appropriately enough, the #BundtBakers, and as soon as I read about them I knew I needed to be involved. 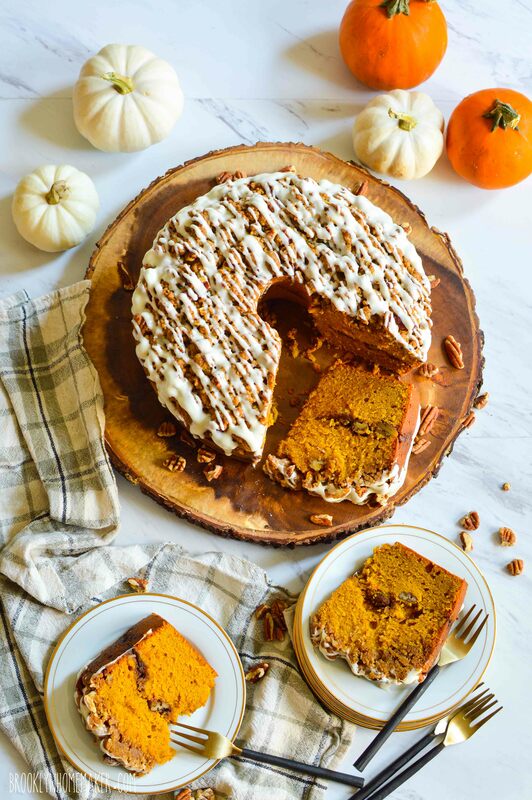 The basic premise is this: A theme is picked in advance for each month, all the bloggers who’d like to participate bake a bundt fitting that theme, and one devoted blogger hosts the event (meaning they help compile all the information and the links to all the posts). I was very excited about getting in on the action, but didn’t think I’d have the time until next month. That was, until I saw that May’s theme was “Breakfast” and instantly decided to drop everything and get planning! Some of the themes can be pretty wild (I mean… breakfast!?! ), so these events are not just limited to sweet cakes. 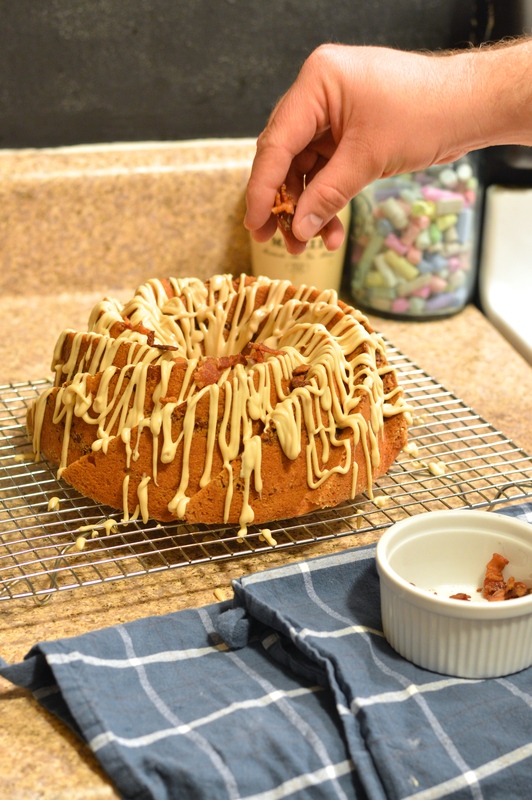 Anything goes, as long as it’s baked in a bundt pan. This months group came up with some pretty amazing ideas, and any one of them is sure to be a hit at your next brunch. 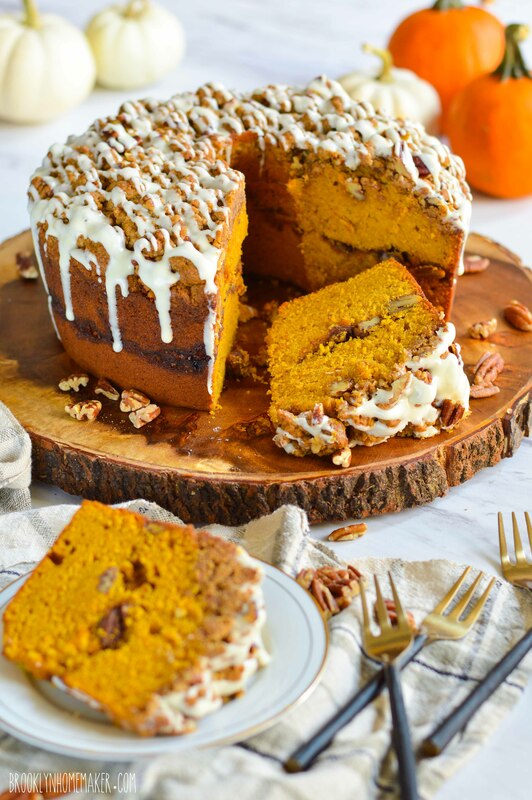 Some made breads, others did baked egg dishes, but many kept it sweet and made a cake. I had a plan hatching and I was definitely going sweet. 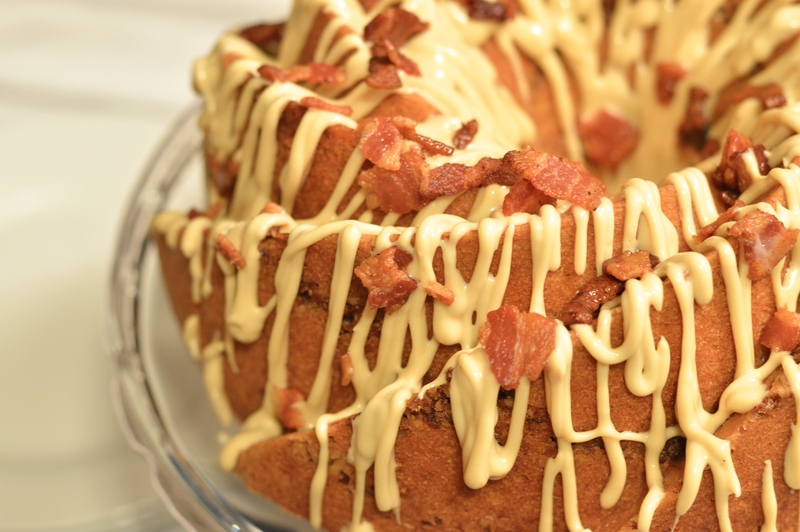 Thus was born the maple bacon bundt cake. This was a bit of an experiment, but boy did it work out! I was a little afraid that I might have used too much bacon (like that’s actually a thing), but once I tasted it I knew it was perfect. I brought it in to work to share for a bacon loving co-worker’s birthday, and everyone absolutely went crazy for it! 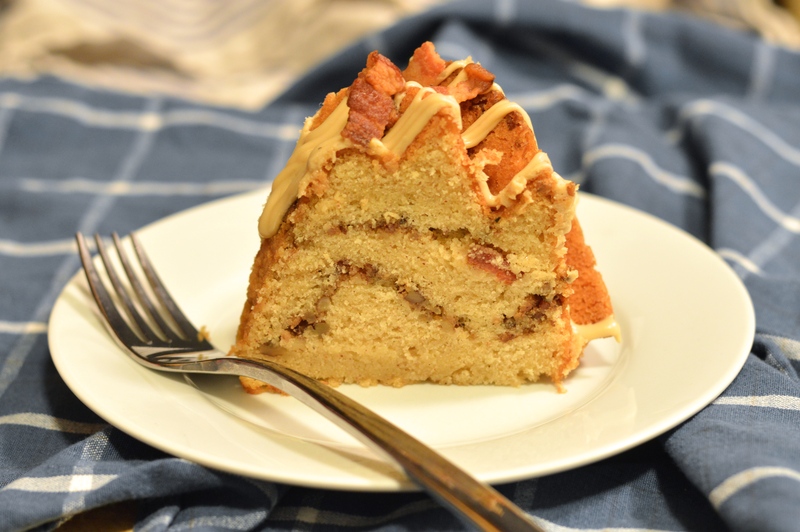 I think I had everyone a little freaked out at first because I kept referring to it as the “experimental bacon cake”, but after one bite everyone was hooked and assuring me I’d definitely done something right. I started with a really moist buttermilk bundt recipe for the base of the cake, but substituted some bacon fat for some of the butter, and grade B maple syrup for some of the sugar. 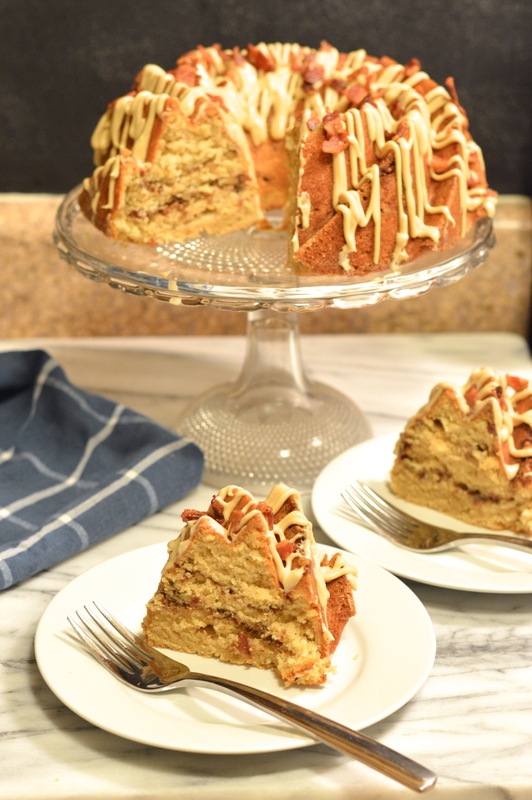 I definitely wanted pieces of bacon mixed into the cake too, rather than just crumbled on top, but I was afraid that just mixing bacon into the batter would make the bacon flabby and unappetizing. I decided to experiment with a sort of streusel to distribute between layers of batter right before baking, and it worked out really well. 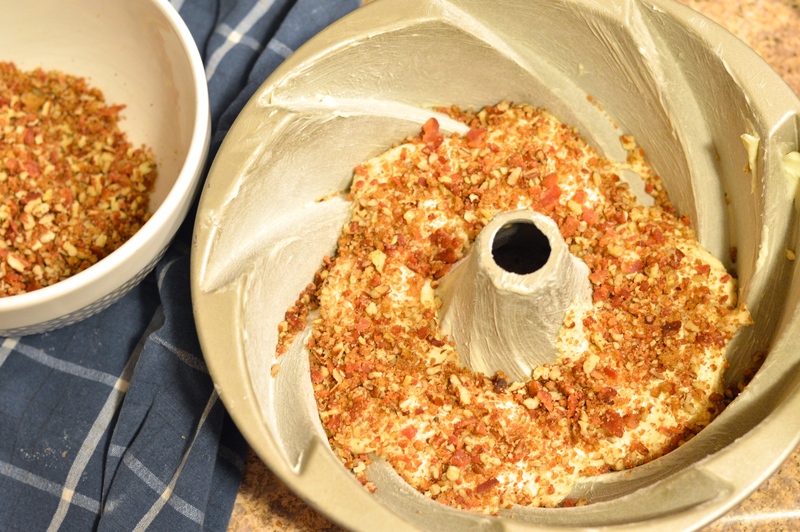 I crumbled some of the bacon up with a nut grinder along with some pecans for extra crunch, and added some brown sugar and spice to make it feel like a true streusel. 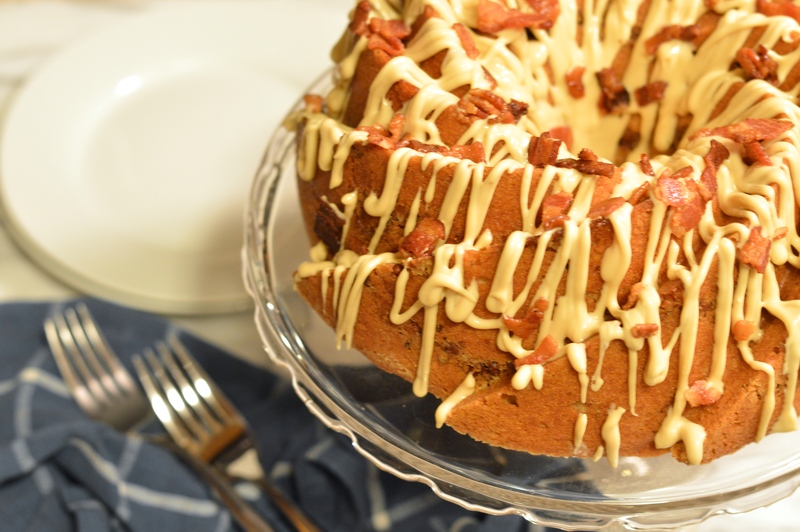 After the cake cooled I topped the whole thing off with an amazing maple & cream cheese drizzle and even more bacon. I’m not gonna lie. 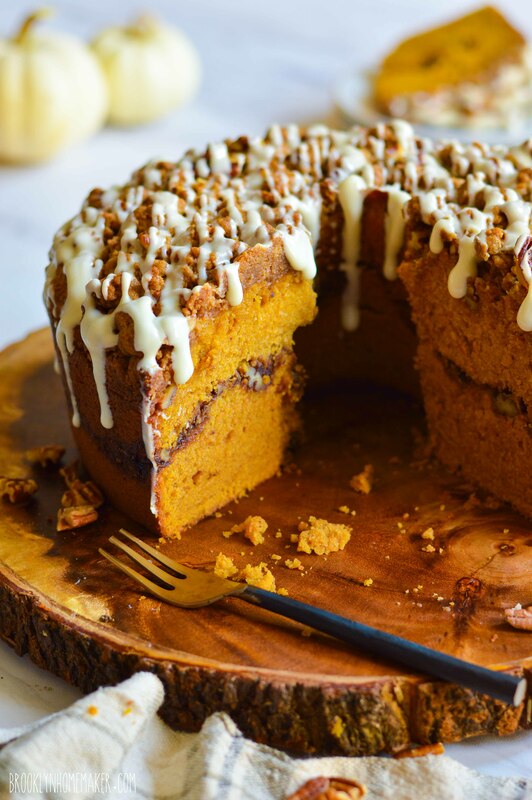 This cake is anything but traditional, and it’s definitely not for everyone. Seriously though, it’s freakin’ AMAZING! It’s kinda weird. But good weird. Like REALLY good weird. If you love bacon, especially if you love bacon in a sweet and salty platform, you gotta try this. 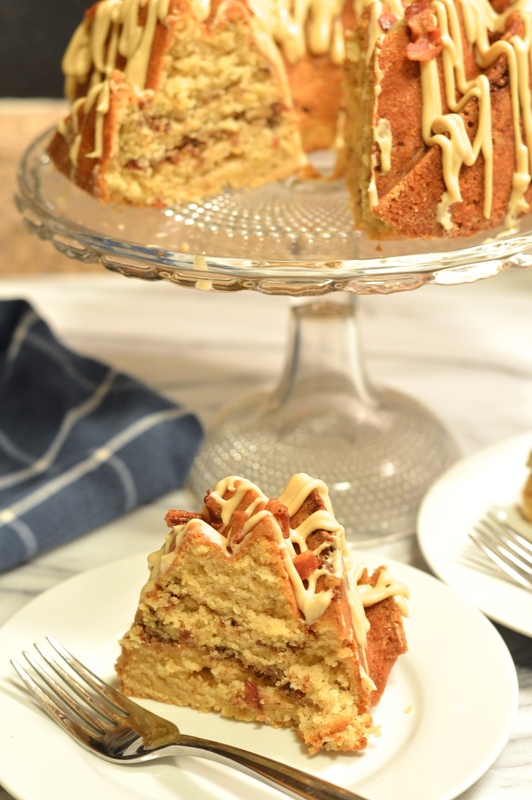 It’s got the perfect amount of warm sweet maple-y goodness from the syrup and just a tiny hit of spice from the cinnamon. 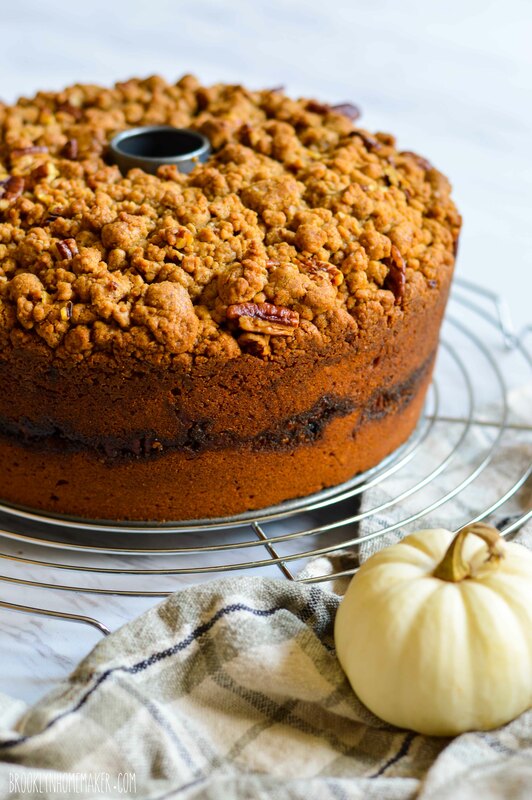 The bacon fat adds a really faint hint smokiness to the cake, and the bacon pecan streusel gives it a wonderful texture and interest. 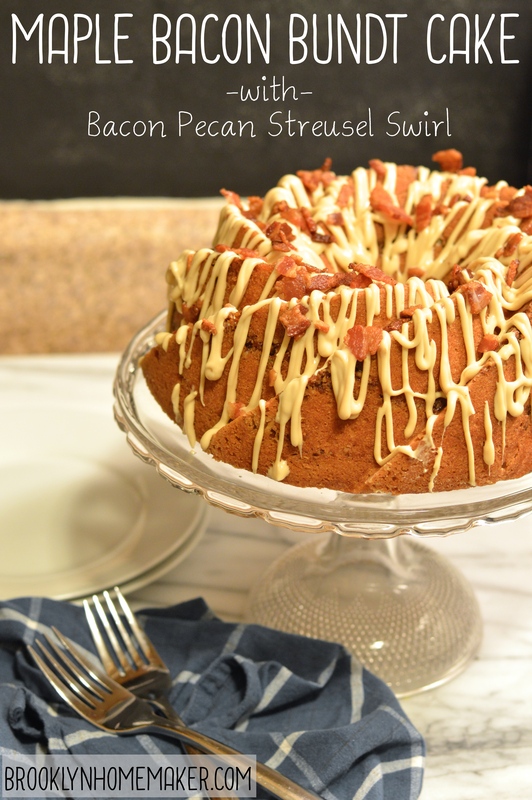 The glaze is delicious, sweet and tangy, and the crumbled bacon on top not only gives every bite a salty touch of baconiness (that’s a word now, FYI), but also announces BACON! to anyone looking at this delicious (not to mention gorgeous) cake. Before we get to the recipe, I really want to give a big big thank you to Kelly of Passion Kneaded, for hosting this month. 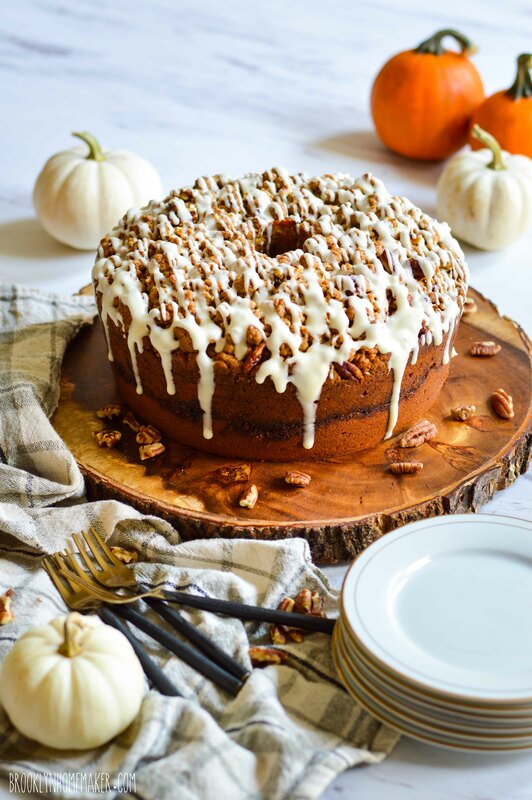 I also want to urge you to please make sure you scroll down below the recipe to check out all the amazing and beautiful breakfast themed bundts everyone came up with. Every single entry looks totally delicious and you should really take some time to explore the links. You’re probably going to need an excuse to host a brunch now, amiright? I’m so lucky to have found this group of bundt loving kindred spirits! Preheat oven to 350°F. 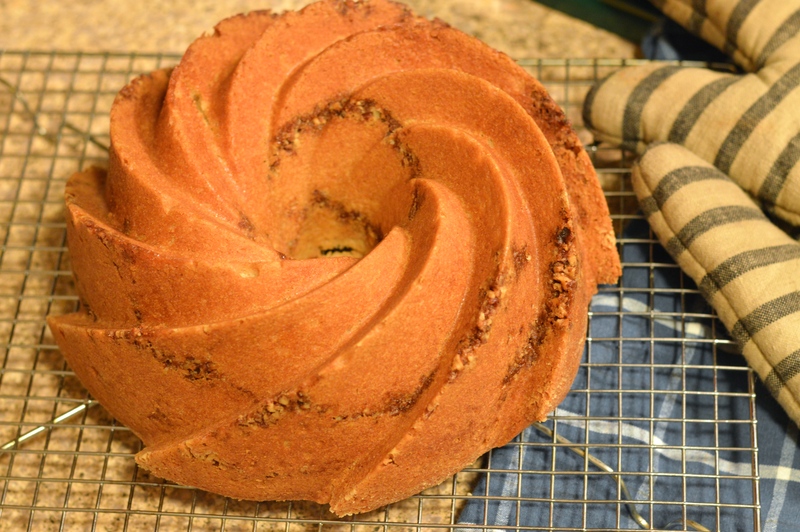 Generously butter and flour a 10-cup Bundt pan. *see note. Remove the bacon from the package but do not separate the slices. With a sharp knife, cut thin strips across the slices, then break up while cooking. Cook in a heavy skillet over medium heat, stirring frequently, until well browned and crispy. Remove bacon to drain on a paper towel, and reserve bacon fat and let cool. Set aside. 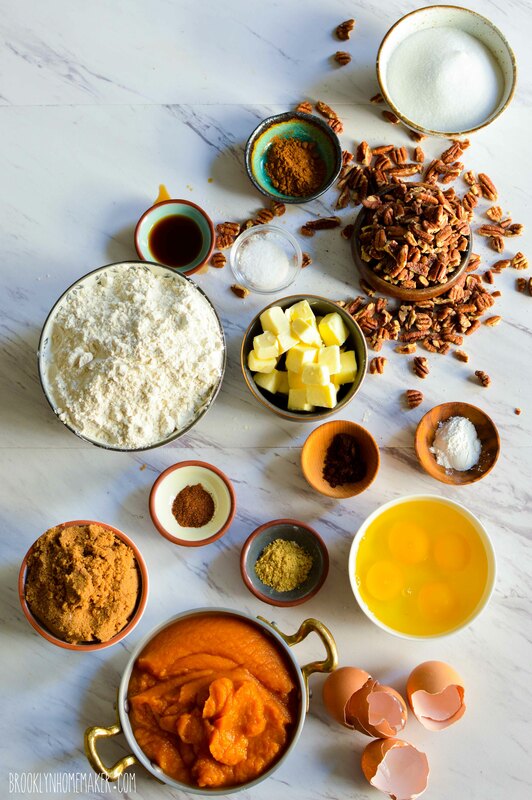 In a medium bowl, whisk or sift flour, 1 tsp cinnamon, baking powder and salt together and set aside. Finely chop pecans and 2/3 of your cooked bacon and combine with brown sugar, 1/2 teaspoon cinnamon, and 2 teaspoons flour. 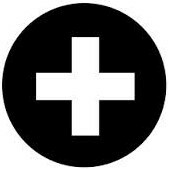 Mix well and set aside. In the bowl of a stand mixer, beat butter, bacon fat and sugar until light and fluffy, about 3 to 5 minutes. If you don’t have enough bacon fat, you can use more butter. You want 1 cup of fat total. Then, with the mixer on low speed, add vanilla and maple syrup and mix until combined. Then add your eggs one at a time, scraping down the bowl between each addition. Add 1/3 flour mixture to batter, beating until just combined, followed by half the buttermilk, another 1/3 of the flour mixture, the remaining buttermilk and remaining flour. Scrape down from time to time and don’t mix any more than you need to. Spread 1/3 cake batter in the pan and spread the top smooth. Add 1/2 streusel mix evenly over batter. Top another 1/3 cake batter, smooth again and repeat until all streusel and batter are in the pan. Bake for 55 to 60 minutes, rotating the cake once after 30 (to make sure it browns evenly). The cake is done as soon as a tester comes out clean of batter. Set cake pan on a wire rack to cool for 30 minutes, and invert cake onto rack to cool the rest of the way. When the cake is completely cool, prepare the glaze. In the bowl of a stand mixer, combine cream cheese, butter, sugar, maple syrup and buttermilk. Beat vigorously until completely smooth with no visibly specks of cream cheese left in the glaze. If glaze is too thick, add more buttermilk, 1 teaspoon at a time. Place cooling rack and cake into a clean jelly roll pan or baking sheet to catch any glaze that drips off the sides. Pour or pipe glaze over cake, letting it trickle and drip down the sides. I used a squeeze bottle to help distribute glaze evenly. Sprinkle remaining bacon over the cake making sure it sticks in the glaze. Cake can be stored, covered, at room temperature for 3 to 4 days. *To prevent sticking, make sure every little nook and cranny is well-coated with butter, and then dust the inside with flour. 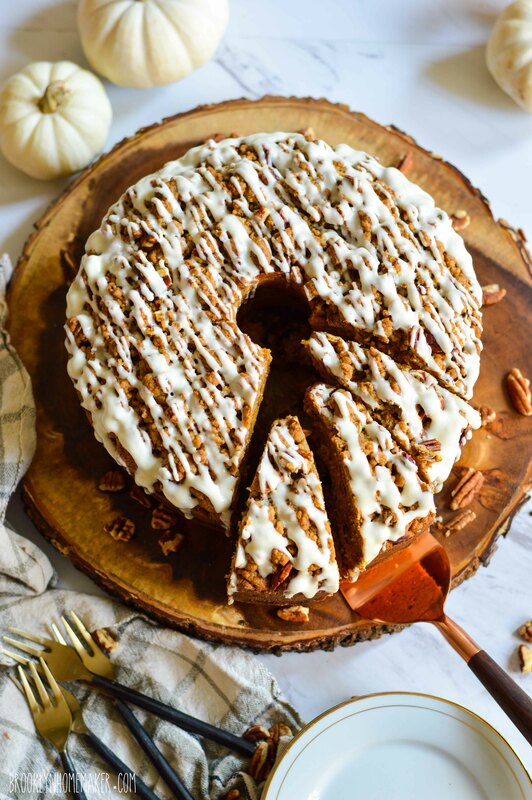 If you’re really nervous, refrigerating your pan while you prepare the cake will help firm the butter for extra insurance.